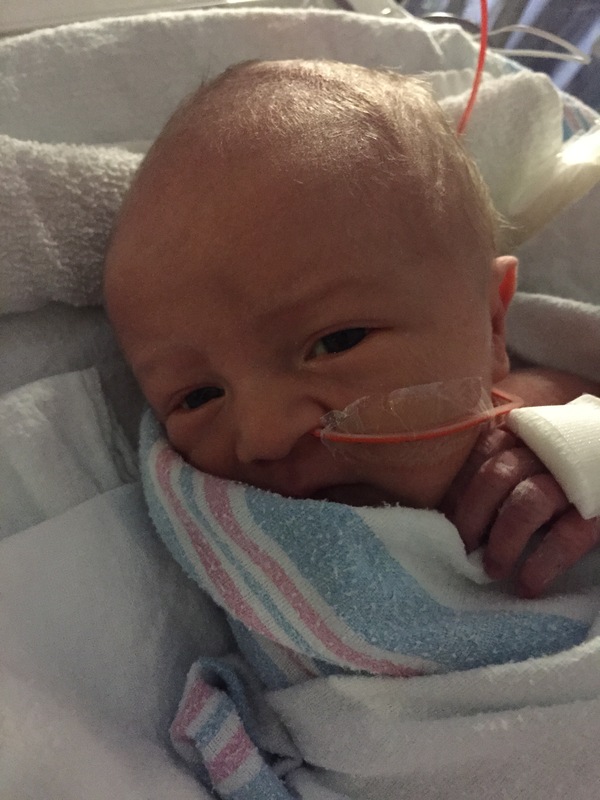 Daniel was admitted to the NICU when he was about 17 hours old. 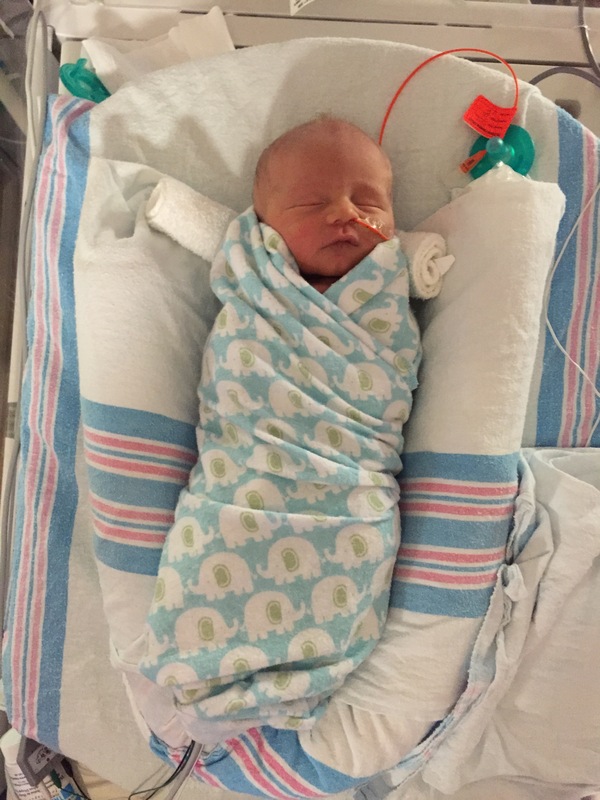 Throughout his first day of life, Daniel wasn’t interested in eating at all, his legs and arms would get dark purple after being swaddled up, he wasn’t super responsive to things he should be responsive to (for example, he got pricked for a glucose test and didn’t even flinch), and he was soooooo sleepy. The NICU was was the best place for him, but it was really hard for me to have him wheeled down there and admitted. I hadn’t even known this little person for 24 hours, and he already had such an impact on my heart. Seeing him not even flinch when they had to try to get him an IV three different times was heartbreaking, and really obvious that something really wasn’t right with our little guy. It just broke my heart not having him in the same room as Peter and me, so I had to keep telling myself that he was in the best place between tears. 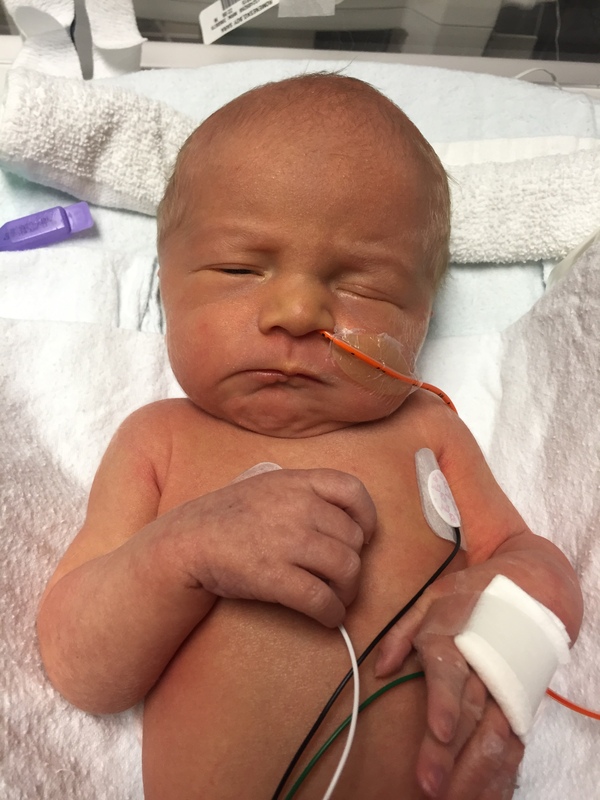 After only a few hours on IV fluids, he started getting more pink and less purple, and he was more awake than he had been since he was first born. I didn’t see this though; Pete reported back to me. 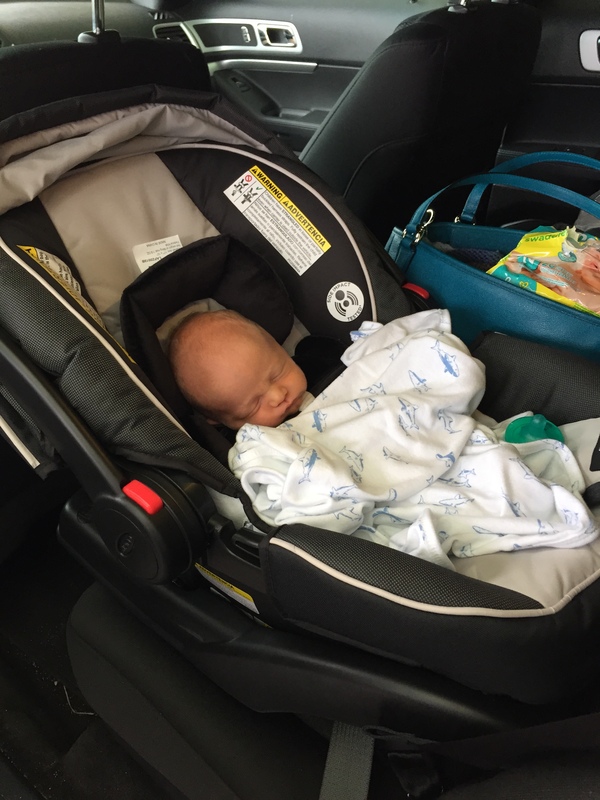 I felt like a horrible mom, because I couldn’t stand to be in NICU looking at him and feeling so helpless. I was tired and sore, so I used that as my excuse to just stay in my hospital room by myself. I was very sad and pitiful, to be honest with you. The next day, I woke up with a new attitude. 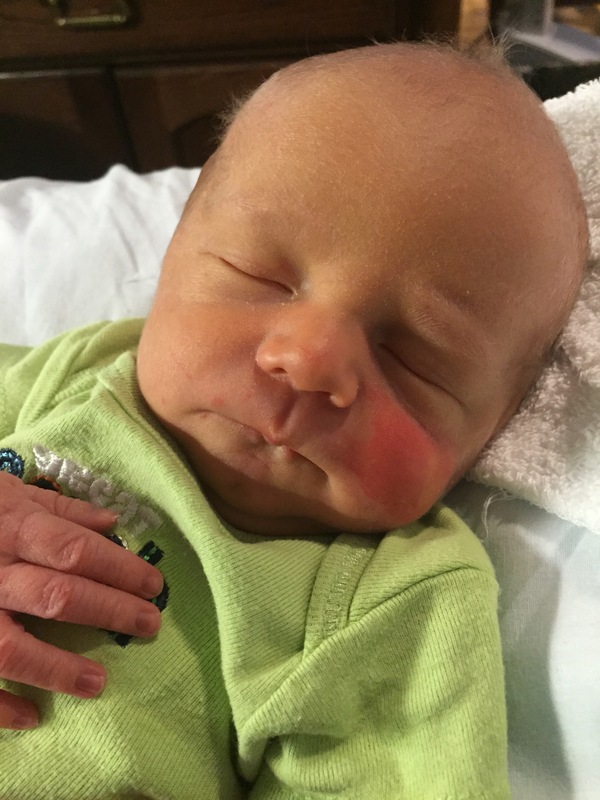 I was feeling optimistic and grateful that our nurse in labor and delivery was relentlessly calling the NICU every hour, consulting with other nurses, and calling Daniel’s pediatrician until Daniel was admitted to the NICU. My lactation nurse was just as persistent, coming in to check on Daniel throughout the day on Friday, and working with the other nurse to try to figure out what was going on in that little body. Just a few hours there, and he was a completely different baby. I realized later that we never got a picture of those two nurses, but we will be forever grateful. The worst part about the NICU was that I couldn’t be with my baby 24/7. The best part about the NICU was the nurses that work there. The doctors were fabulous too, but the nurses were with Daniel around the clock, and that means that they got to spend a hefty amount of time with Peter and I too. 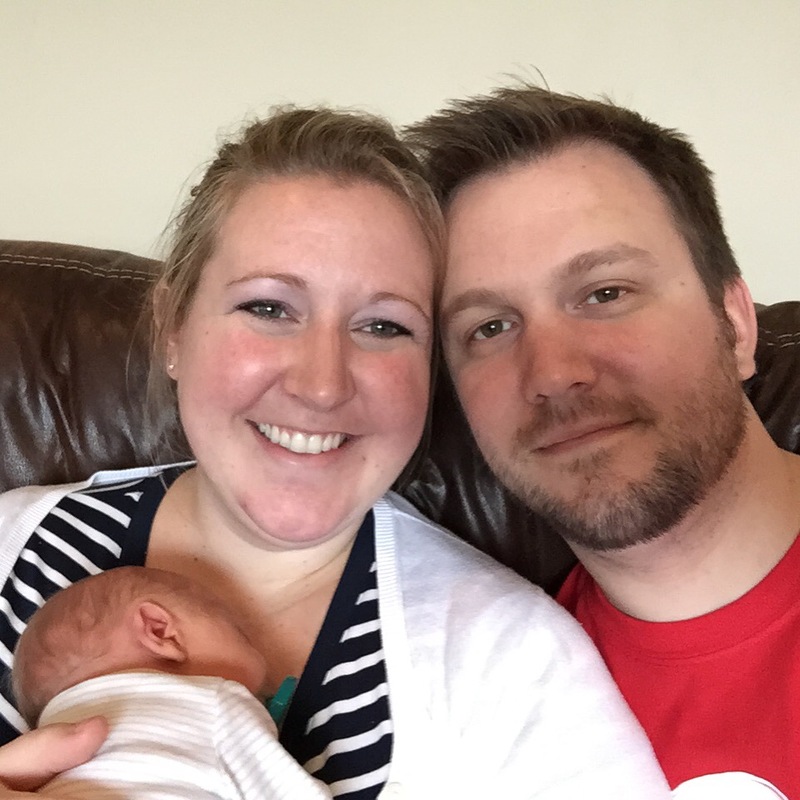 We had the same day nurse for Daniel’s first two and a half days in the NICU, and then the same night nurse for the first three nights. Having this consistency right away was really helpful to me on an emotional level, because it let me connect to Daniel’s caregivers right away. 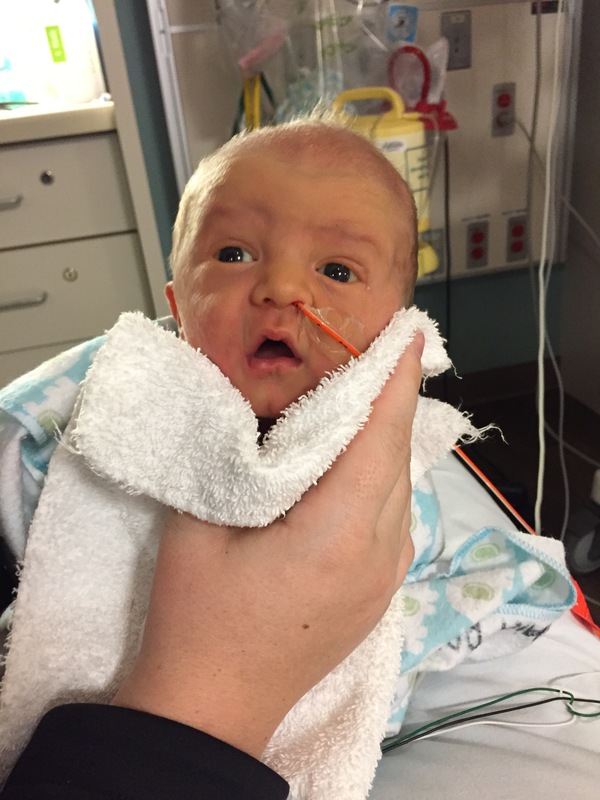 I found that it was harder to make a connection with the nurses if they were only there for one shift and then off for a few days, especially if it was overnight when I went down to the NICU in a complete daze to nurse, pump, pray, and then return to our hotel room. 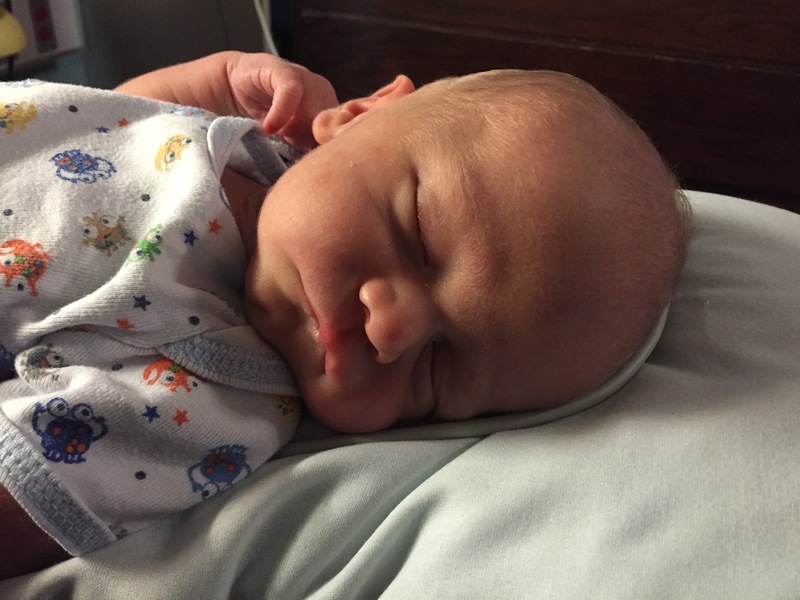 God had a plan when Daniel was placed in bed 17 in the NICU on that Friday afternoon. The first nurse – J – that we had for Daniel’s first weekend there was just the person that I didn’t know that I needed. Not only was she an amazing caregiver for my sweet boy, but she had a way of working with Peter and I that put us both immediately at ease – explaining what was going on in terms that we understood, reassuring us that the NICU was the best place for Daniel to be, and helping us make the best decisions for him. J was also very personable – getting to know us, and letting us get to know her. Sharing her opinion when we asked for it, and always being very upfront with us. I immediately trusted her opinion, and found myself wishing she was there to consult with when decisions had to be made and she wasn’t working. Those first few days in the NICU, I was working hard to get Daniel to try to nurse. Mother’s Day was the first time that he actually made an effort, so naturally I started to cry. When I looked up at J, she had tears in her eyes too, as she said, “The perfect Mother’s Day gift.” And it really was. Sharing that moment with someone who understood how special it was made it that much better. Seriously, she was amazing. Drunk on milk. This picture really cracks me up. 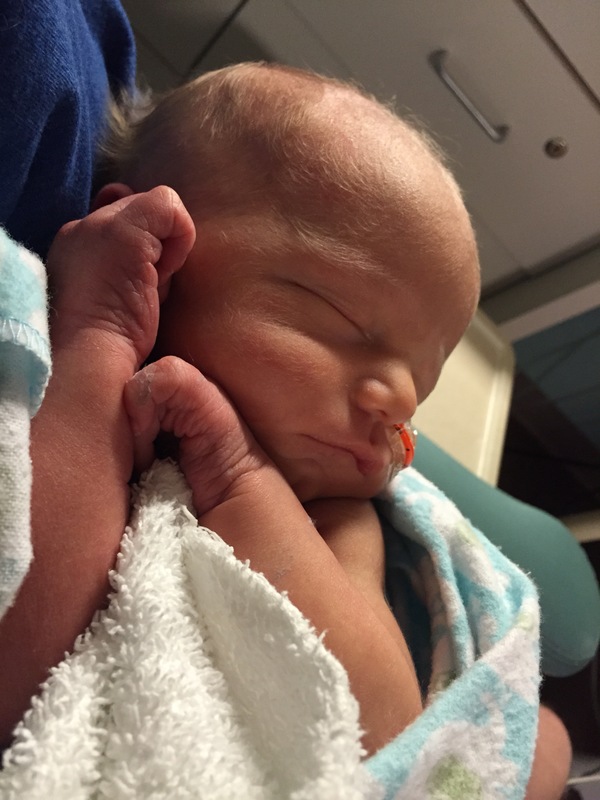 At the end of each nurse’s shift during Daniel’s stay at the NICU, I would ask when they would be back. If it was more than 2 days later, I would say, “It’s nothing against you, but I sincerely hope that we don’t see you again.” Because if we didn’t see them again, it was because we were able to go HOME. For quite a few of the nurses, we ended up seeing them again. But for others, we didn’t. Peter’s all-time favorite face that Daniel makes. 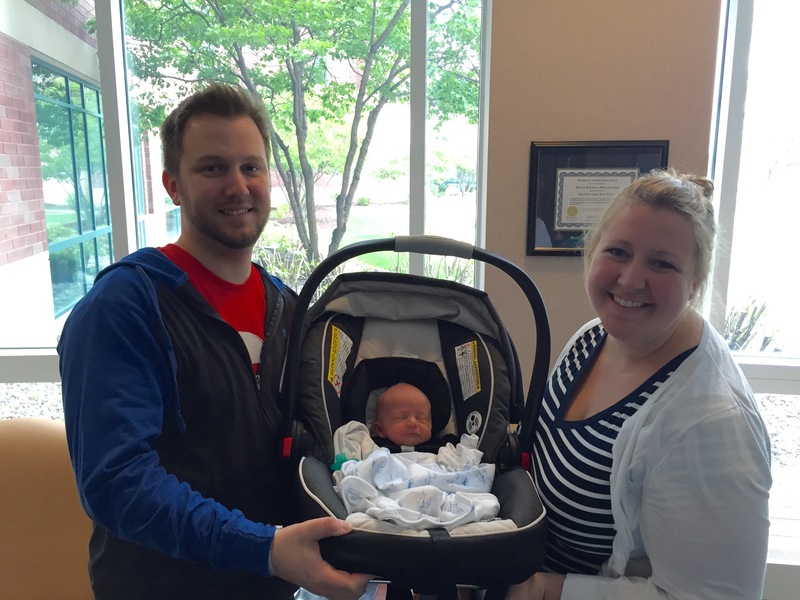 When we left the NICU and were able to go HOME, it was SUCH a happy day. Having Daniel unhooked from all of the cords and machines was amazing. Being able to cuddle him and move more than 2 feet from his bed was fantastic. Pete and I didn’t have that. We brought him home, and picked him up, and loved not hearing any beeps. It was definitely one of the top 5 moments of my life, finally being at home, with our perfect little family. Thank you to all who prayed for Daniel, Peter and I while we were in the NICU with him. Words can’t describe our gratitude. 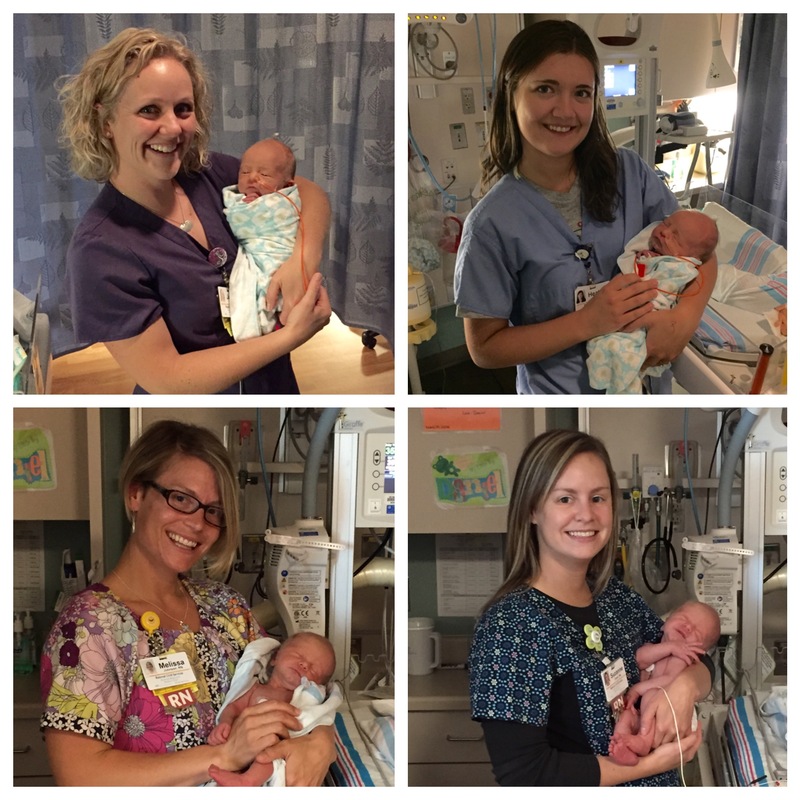 And also a huge thank you to all of the nurses that cared for Daniel during his time in the NICU. You’ve impacted our lives in a way that you’ll never know, and we are eternally grateful. Just a few of the wonderful people who cared for our little fella. Glad he’s home, hope all is well. Wishing you many moments of blessings like your Mom’s Day present.